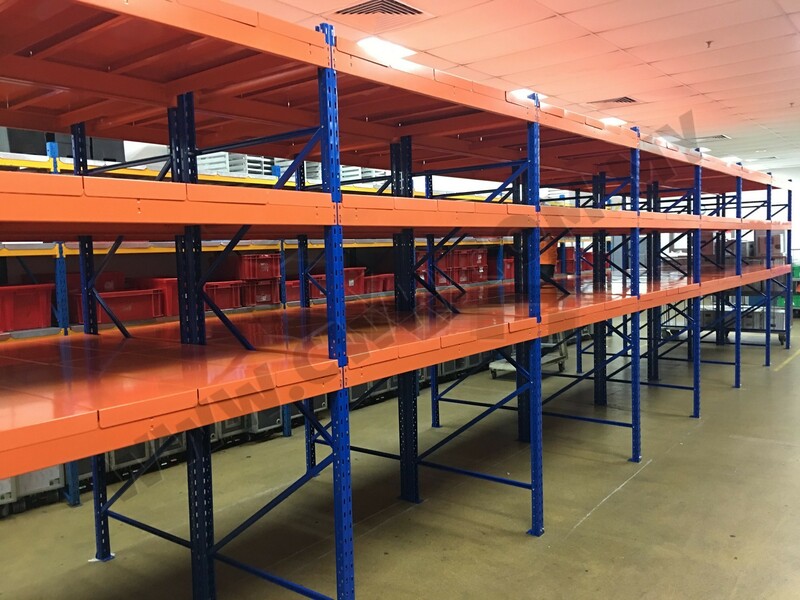 CWH Valuespan Shelving Rack is the latest addition to our family of racking systems. 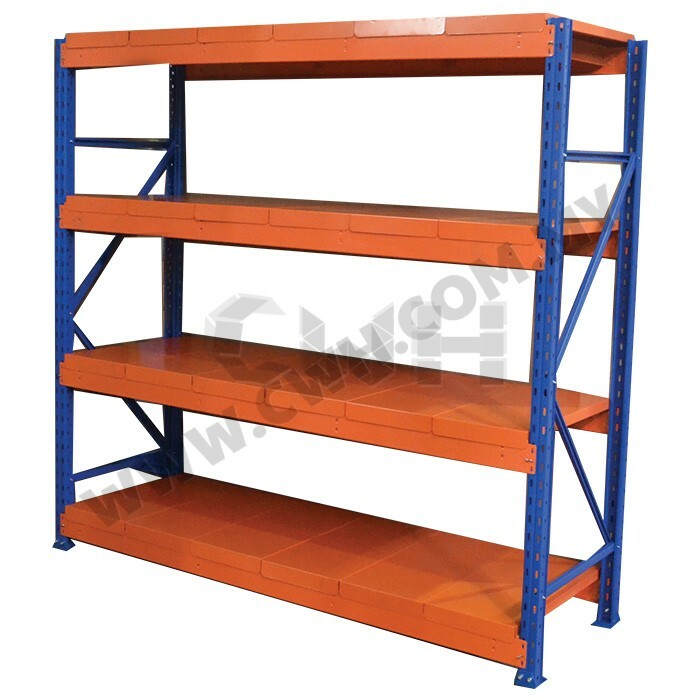 Carefully engineered profile of upright and horizontal beams to cater to medium duty loading capacity of 500kg to 1000kg UDL per level. 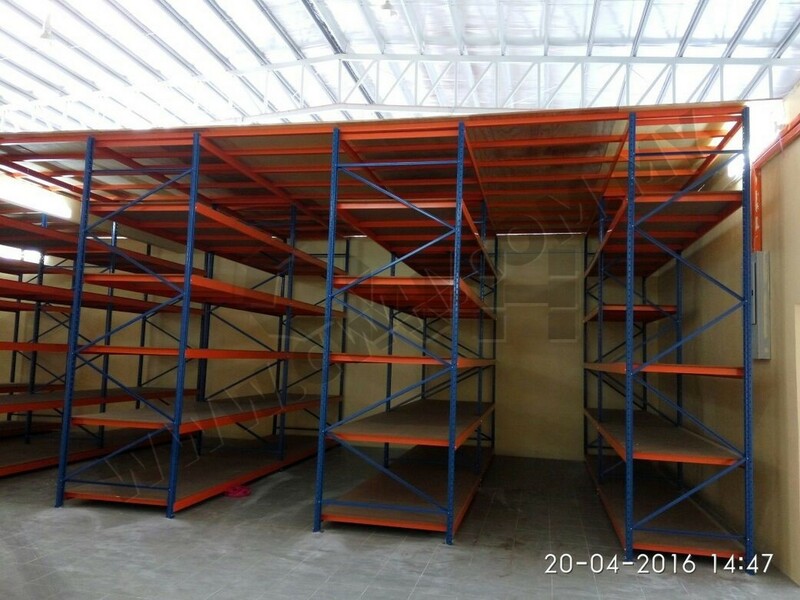 With options of 12mm HDF board, 12mm Plywood or Epoxy Powder Coated Steel Shelving for different clients need, client can choose according to their needs. 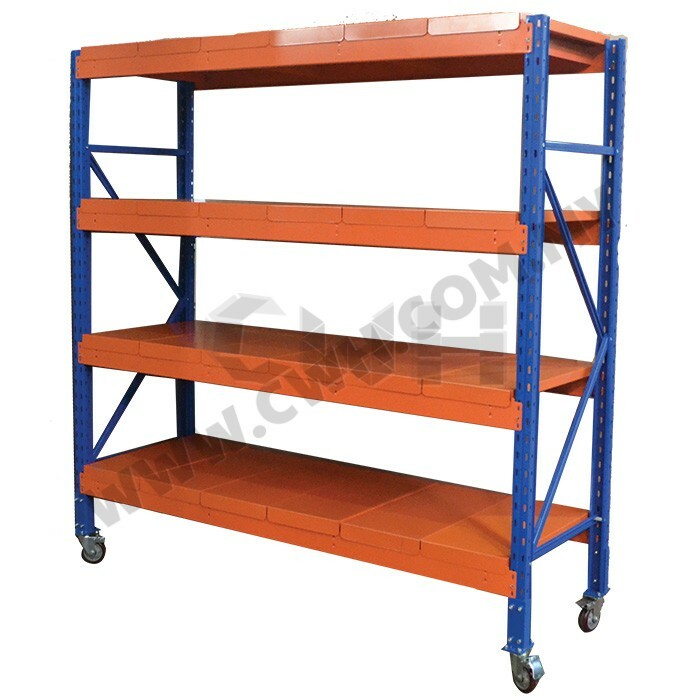 The demand of mobile rollers has provide great ease to mobility of racking system around the operation area. 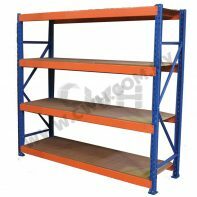 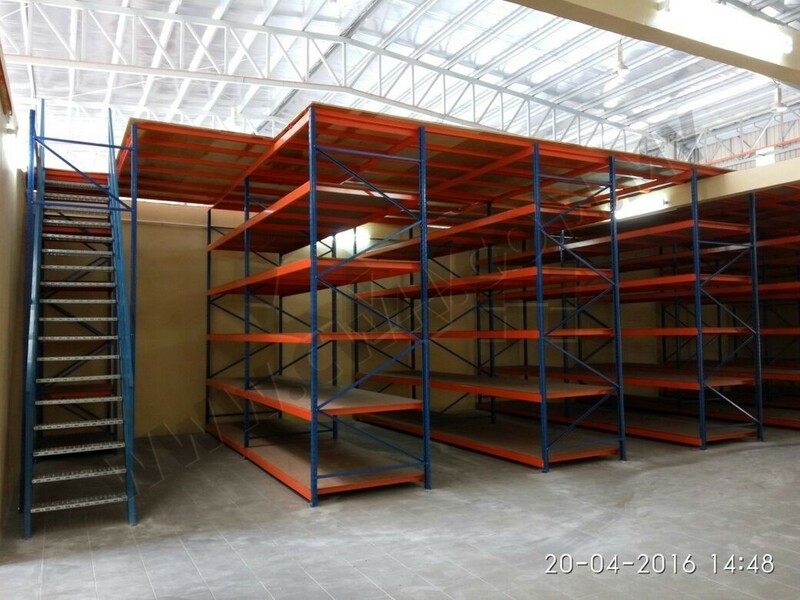 Additional floor space can be created with the mezzanine options of plywood or steel grating and safety barrier can be improvised for safety feature of the racking system. 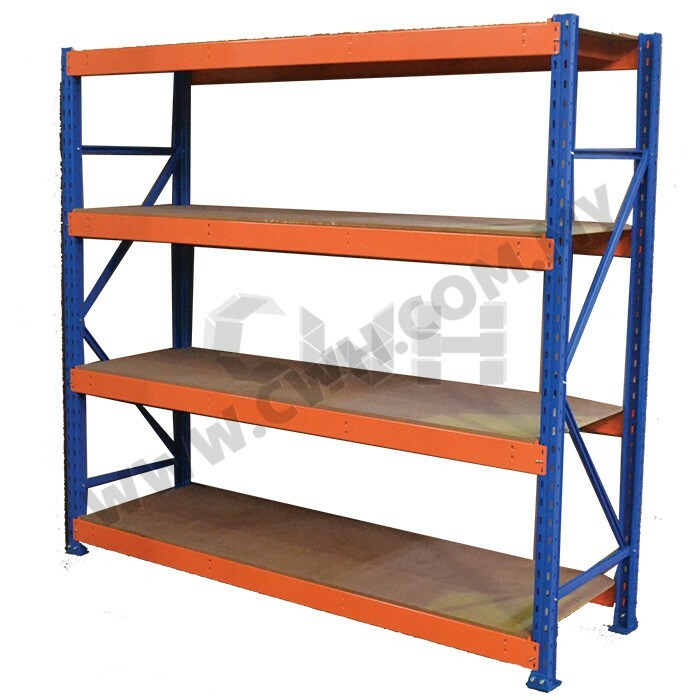 Structural steel staircase can be added to provide access the mezzanine for retrieval of goods. 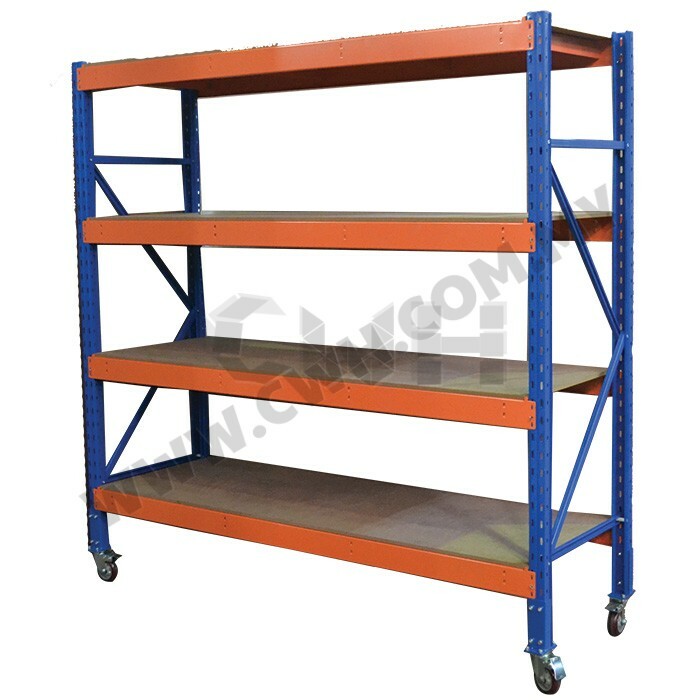 For more information on using it on constructing a platform, please visit CWH Valuespan Shelving cw Top Flooring.